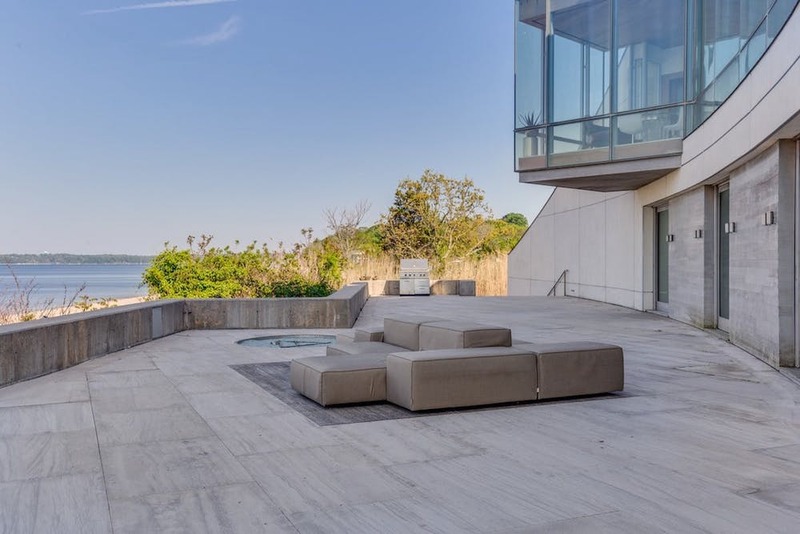 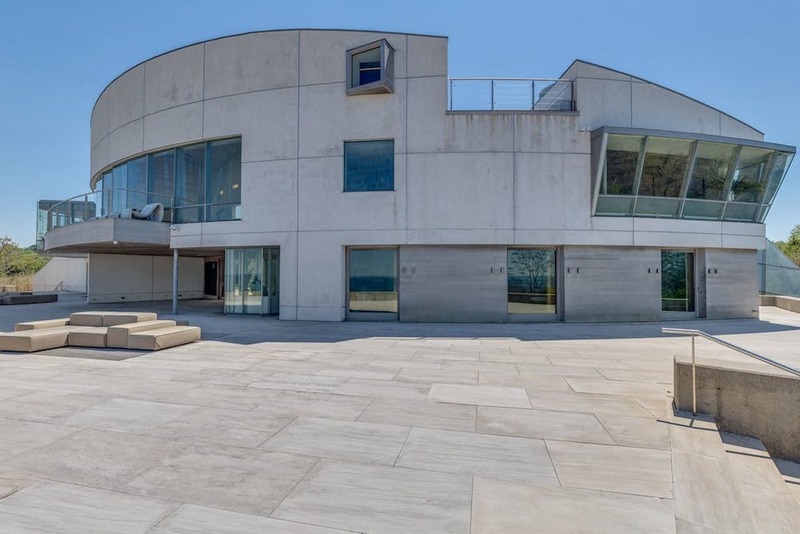 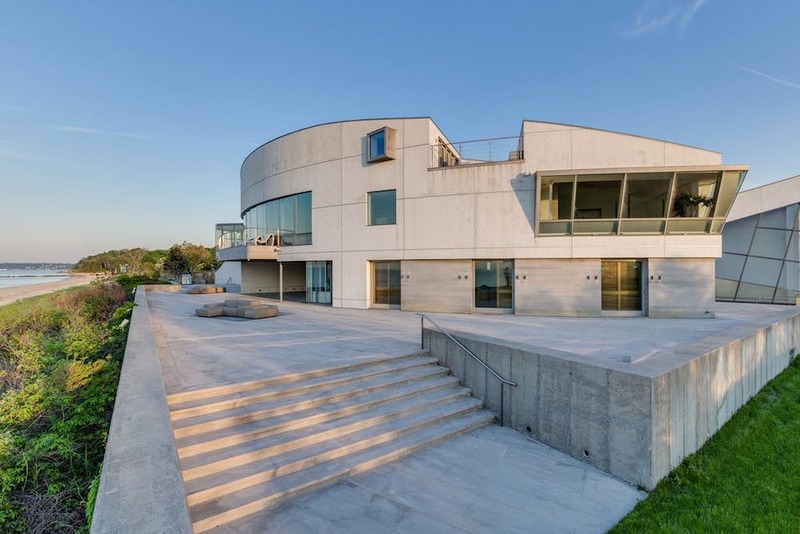 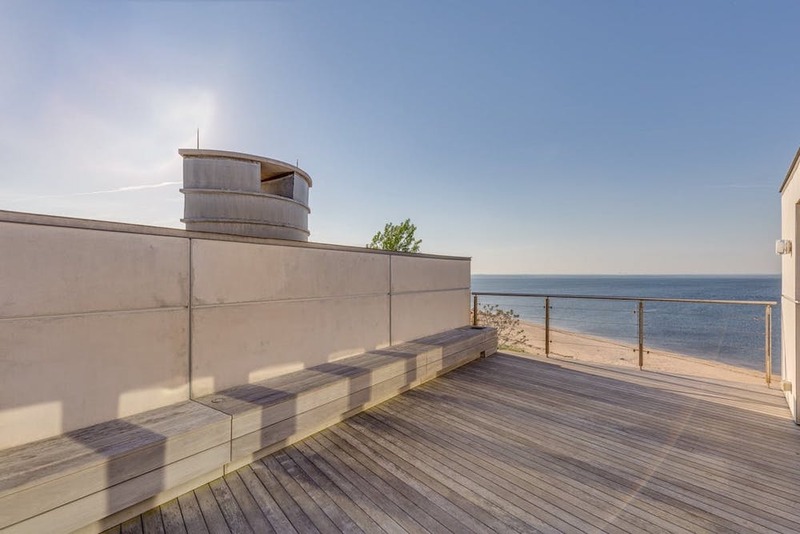 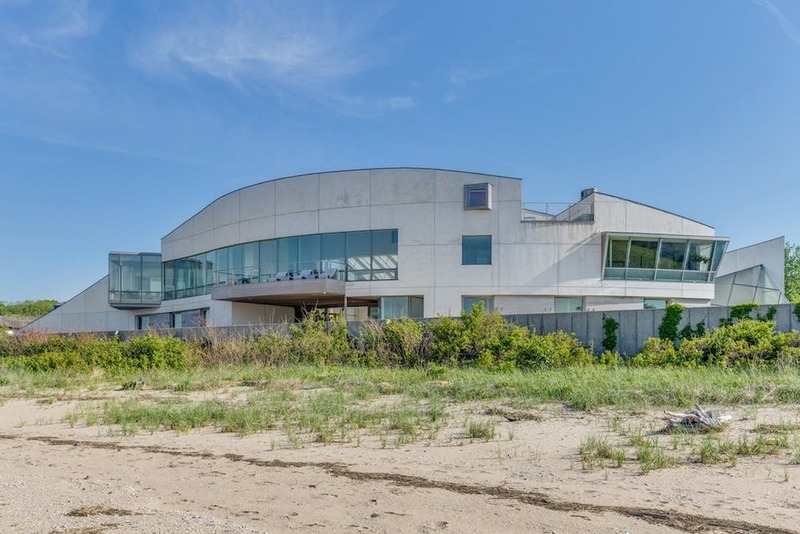 An architecturally stunning residence on a substantial 2.98-acre waterfront lot with 300-feet of sandy beachfront in Sands Point, New York has been reduced to $18.9-million, it was originally listed for $20-million in late 2015. 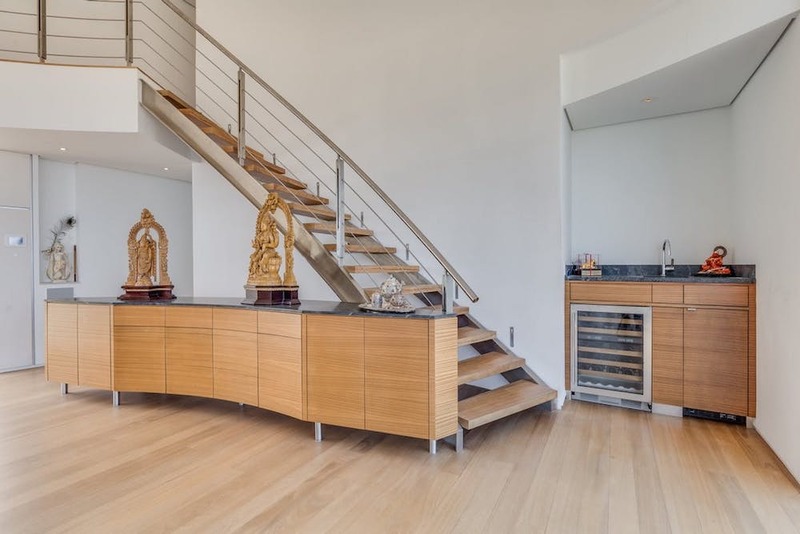 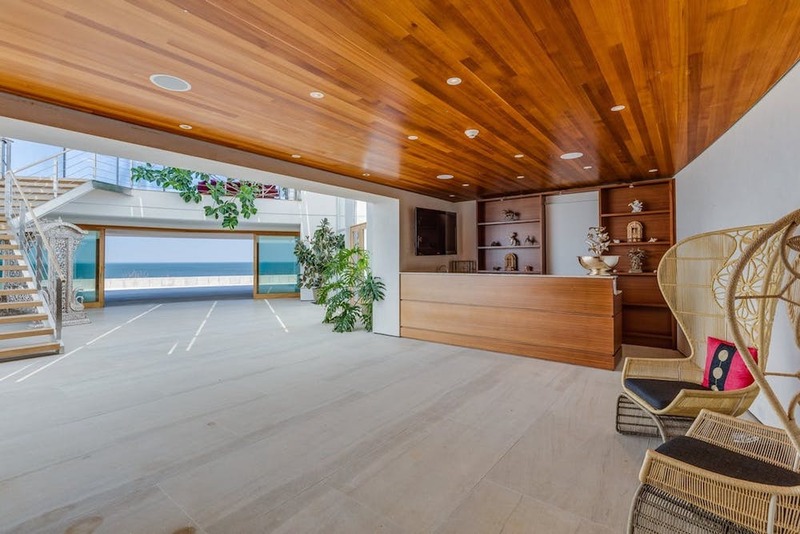 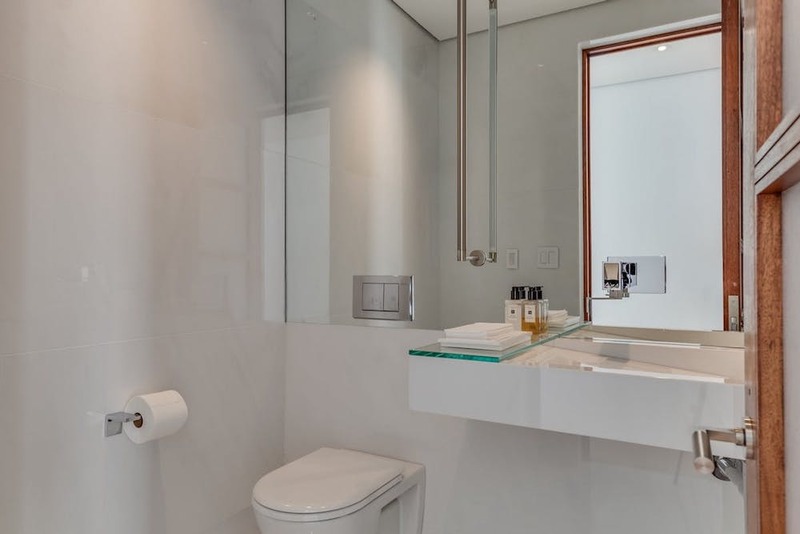 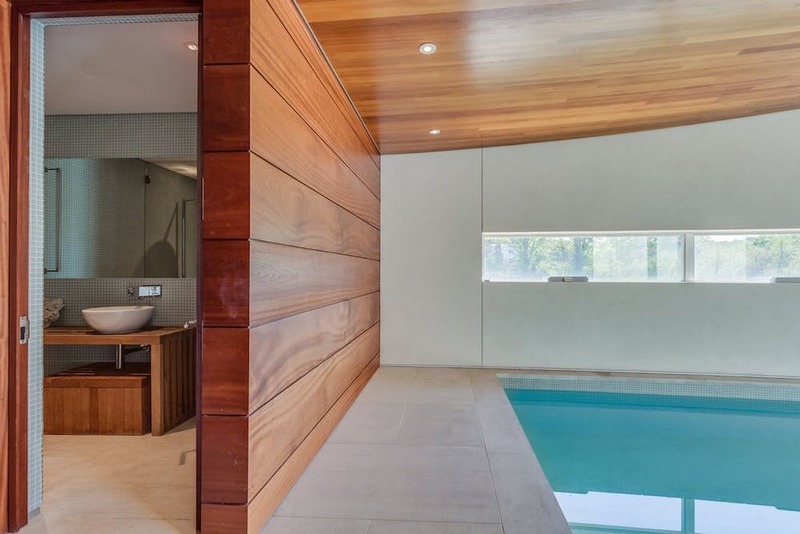 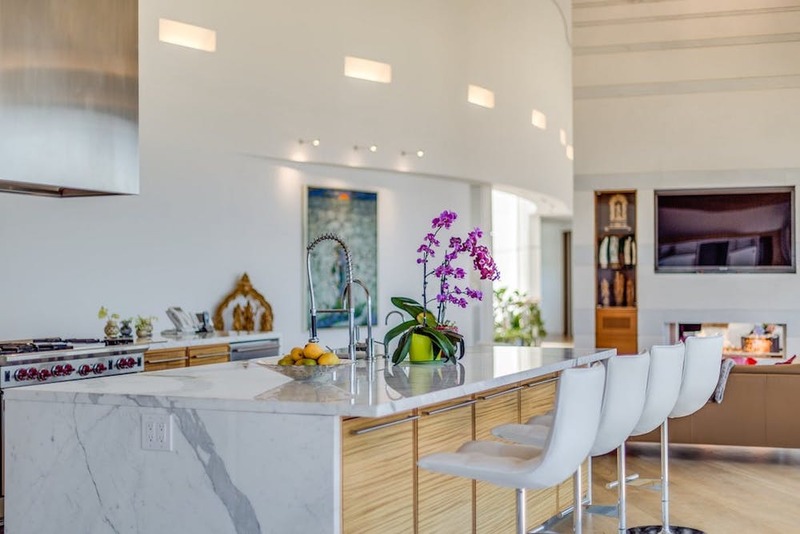 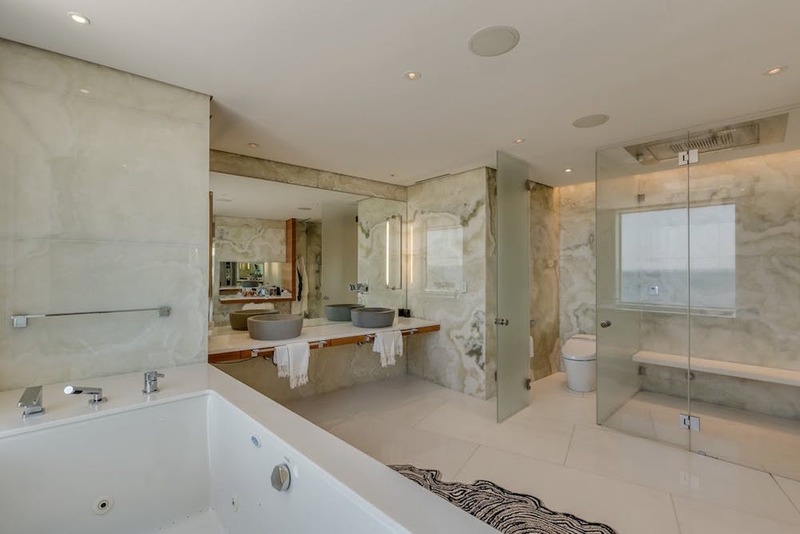 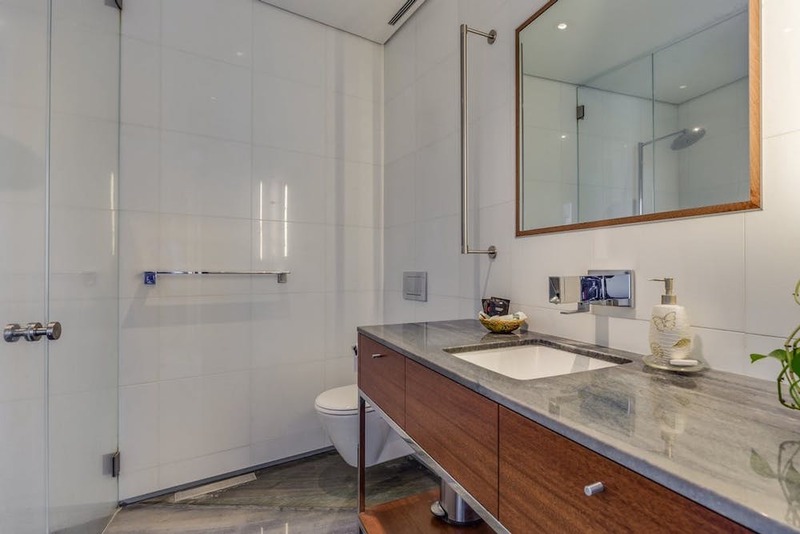 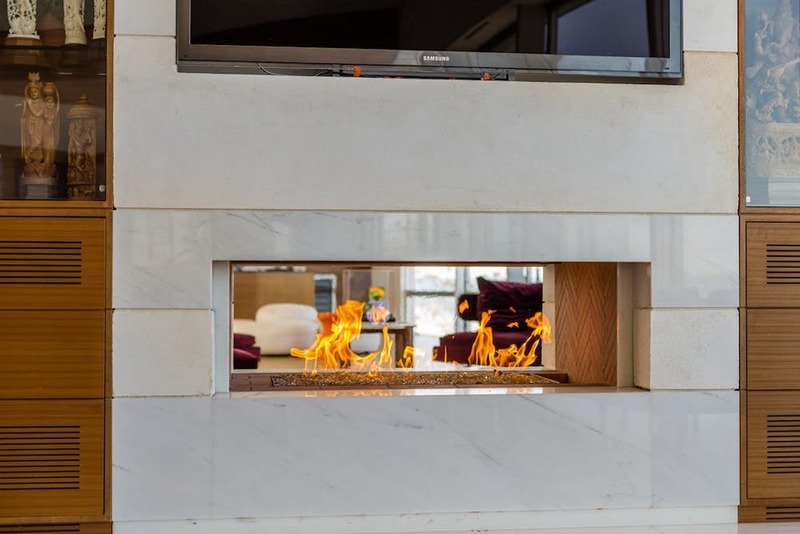 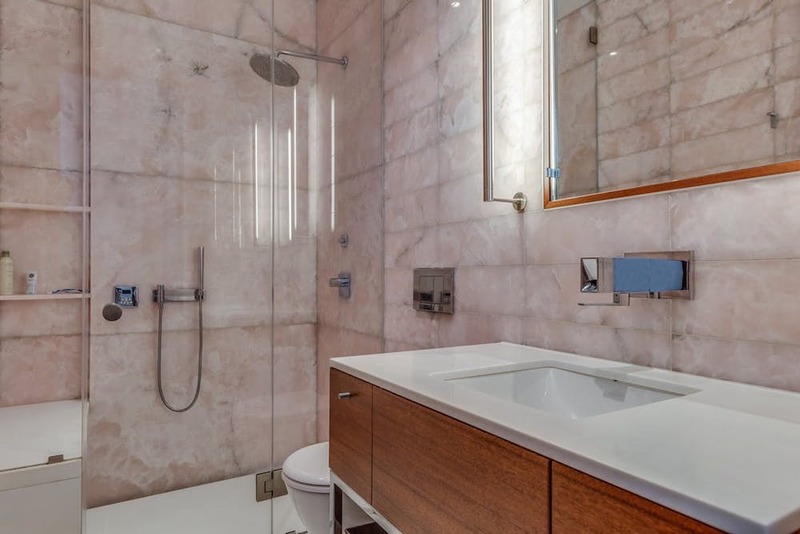 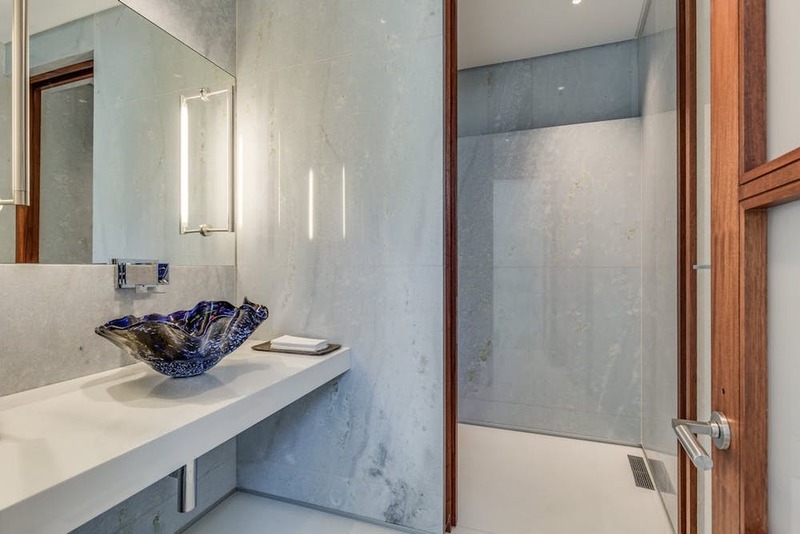 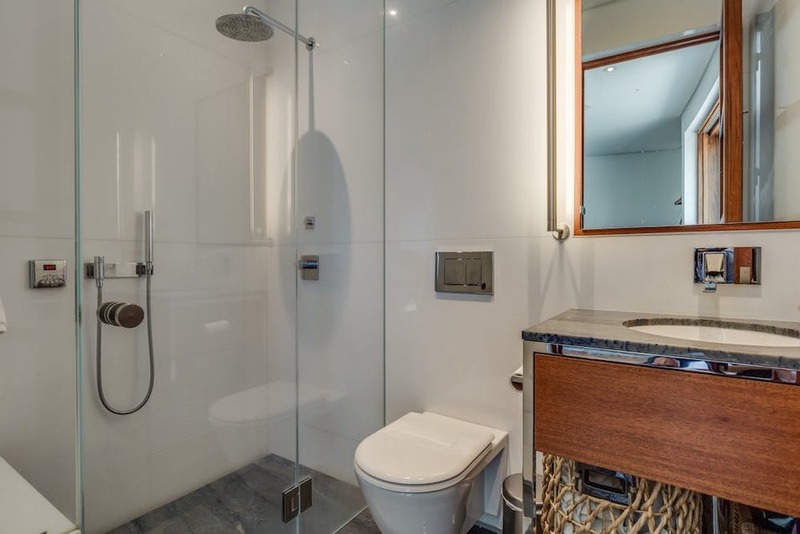 The one-of-a-kind residence offers over 10,000 square feet of space with bright & open living quarters throughout, including a large living room leading to extensive patios, a fully fitted gourmet kitchen, 6 bedrooms & 12 bathrooms, and a stunning indoor pool. 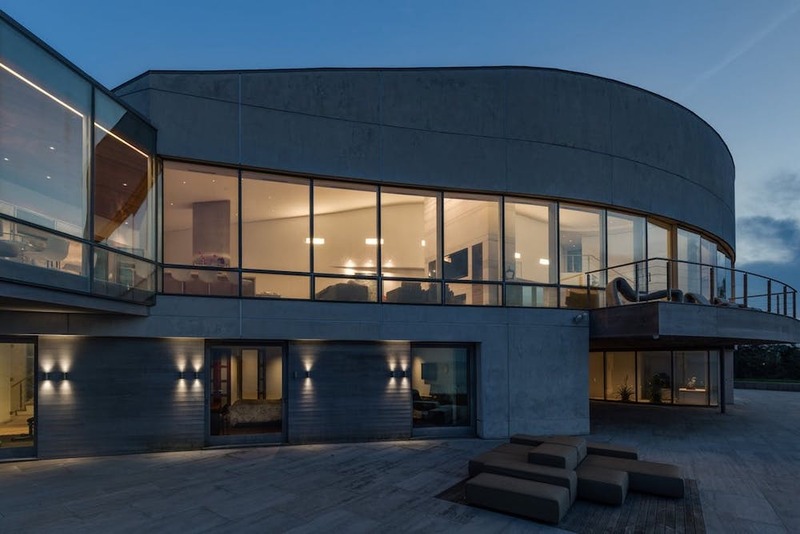 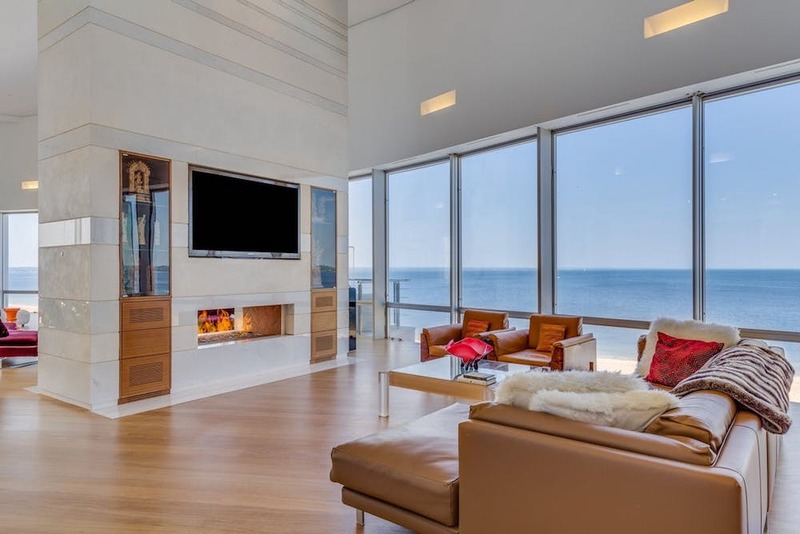 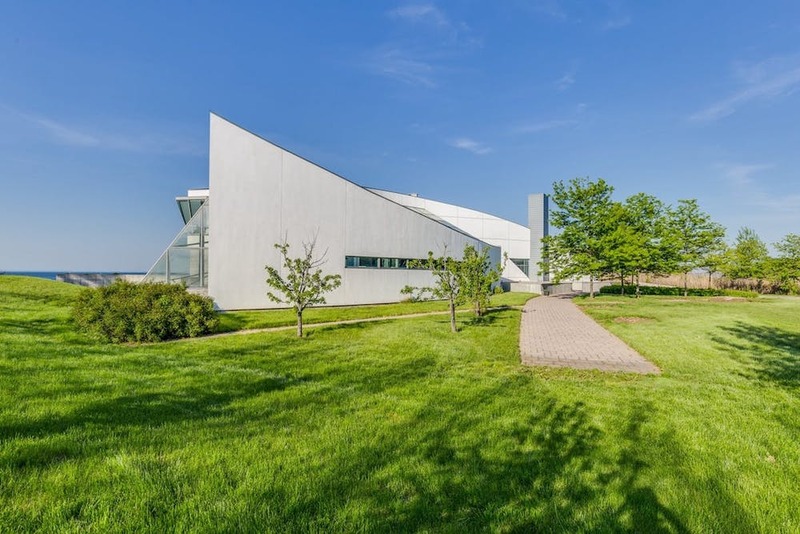 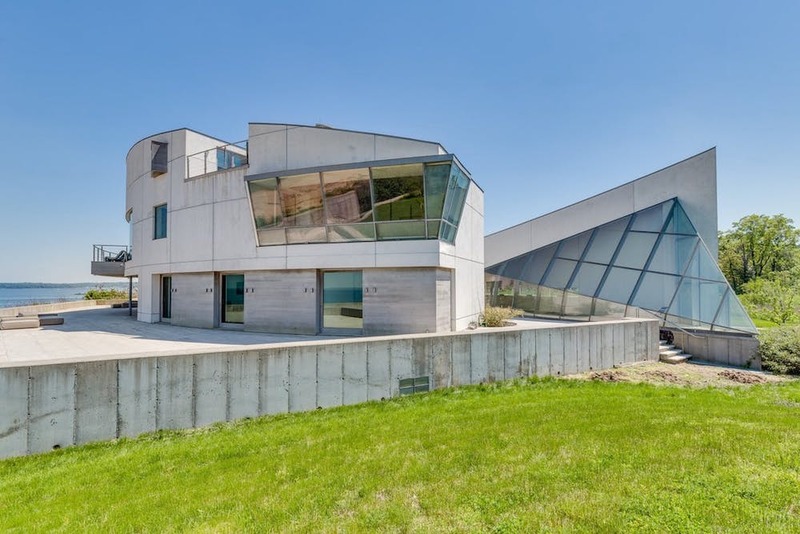 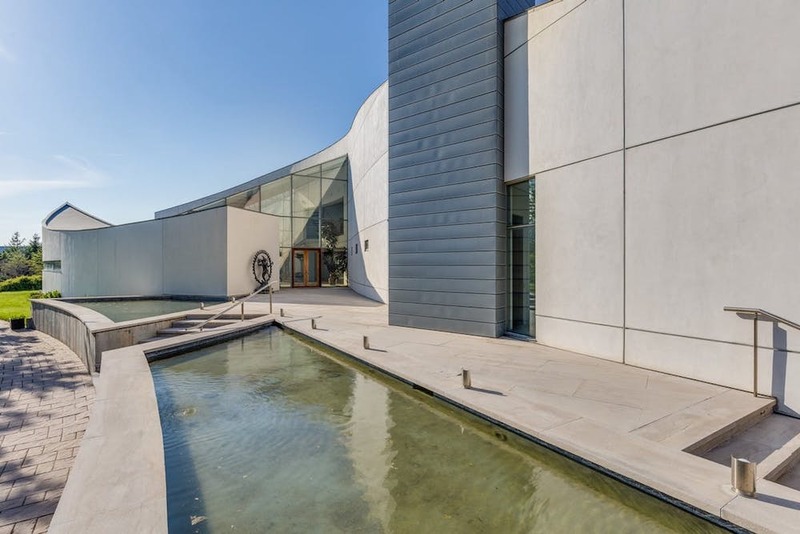 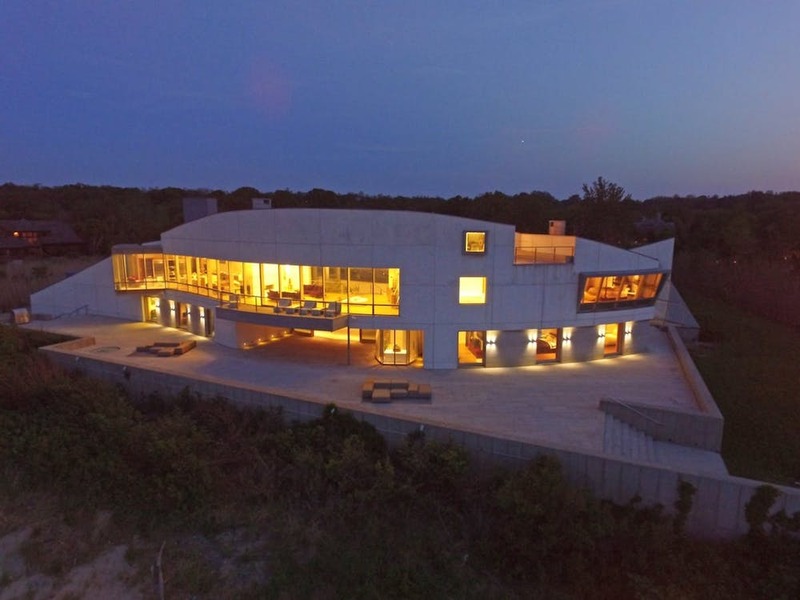 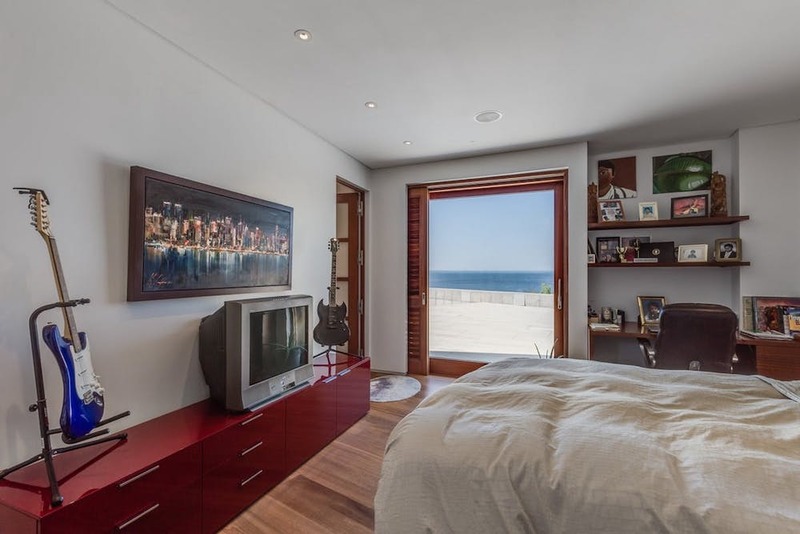 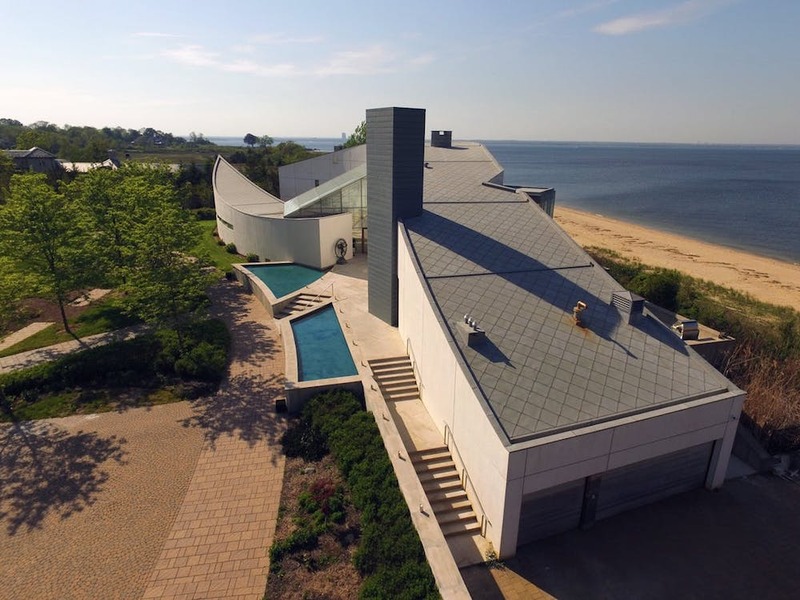 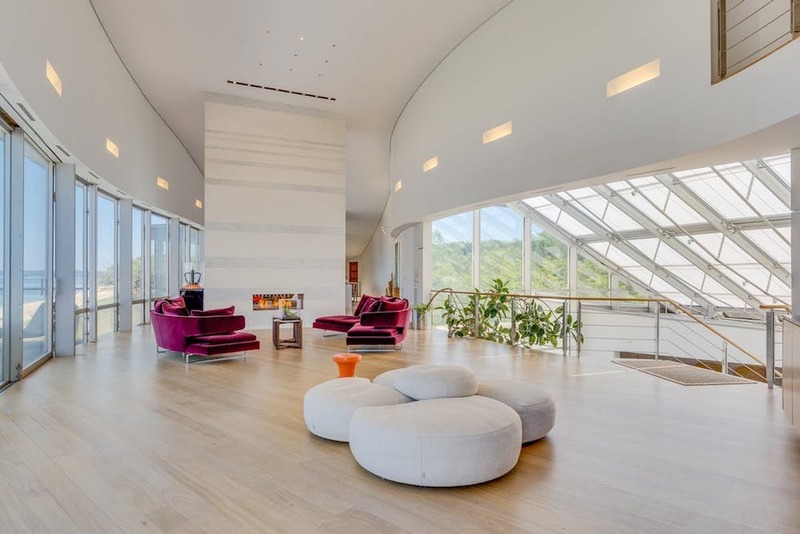 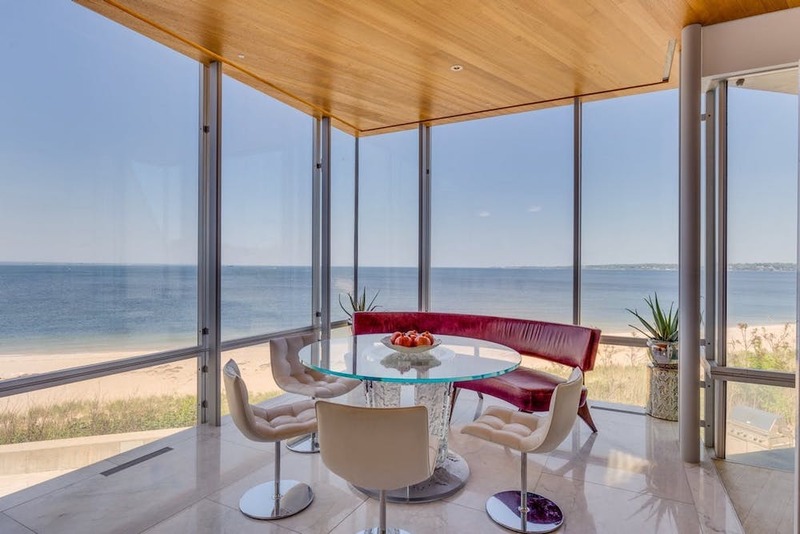 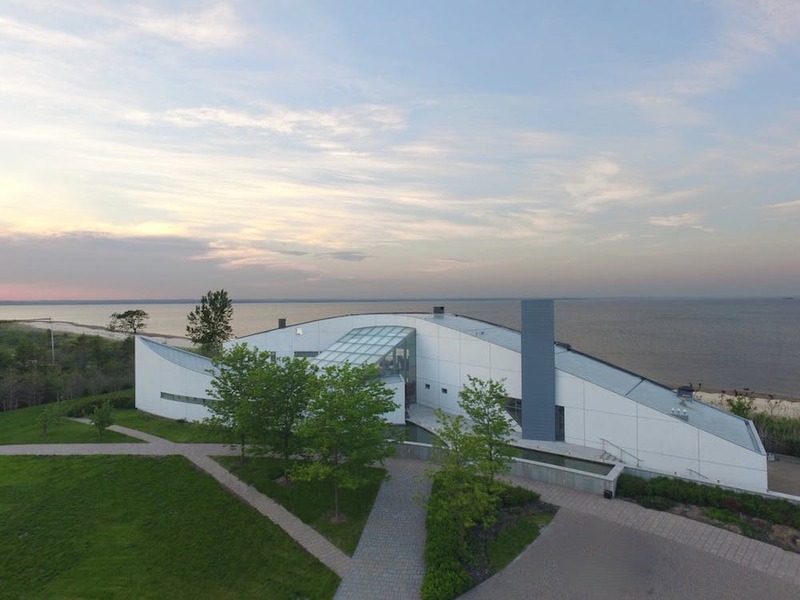 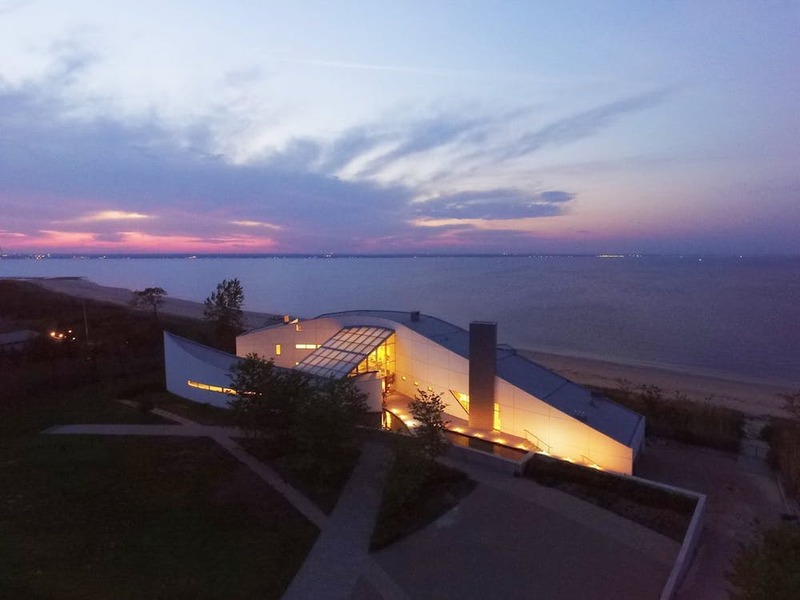 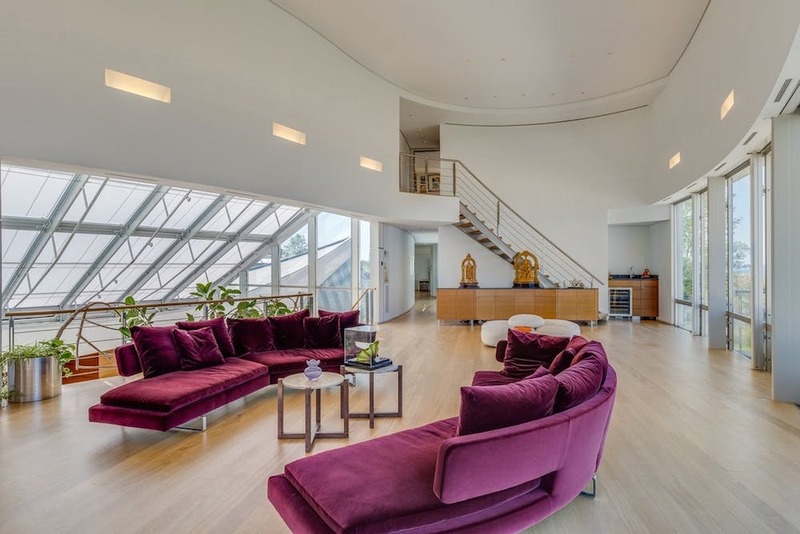 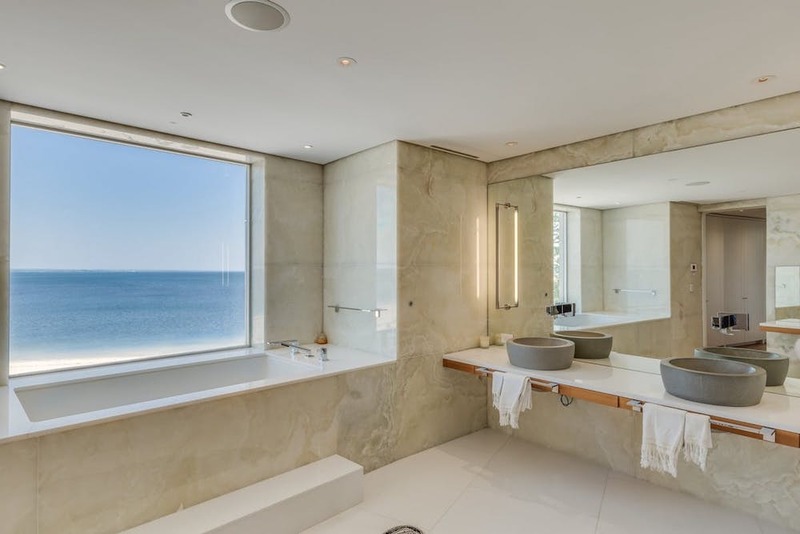 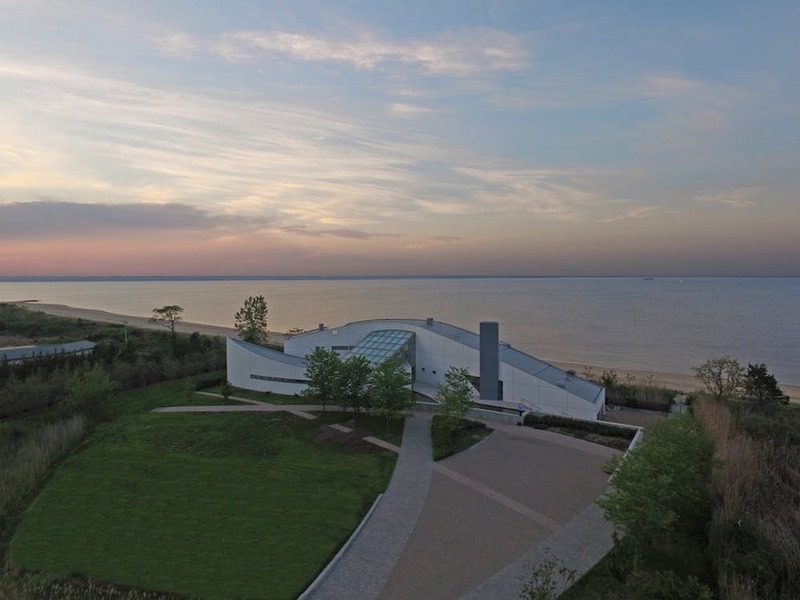 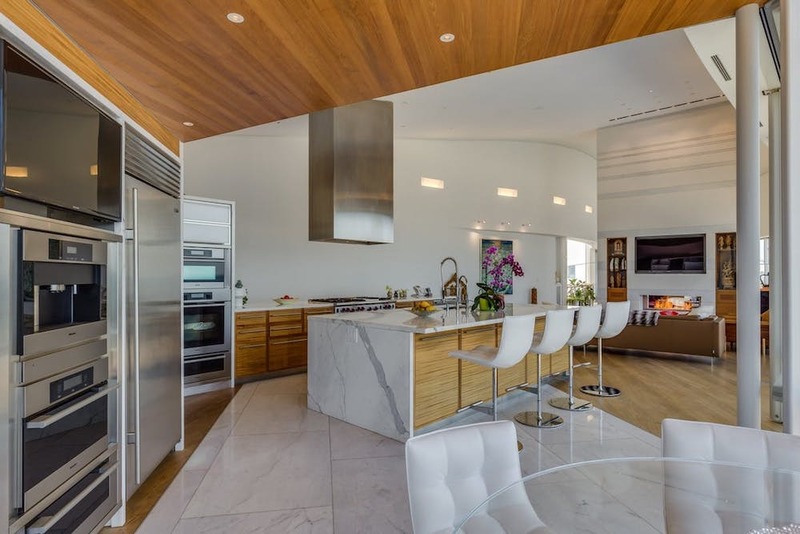 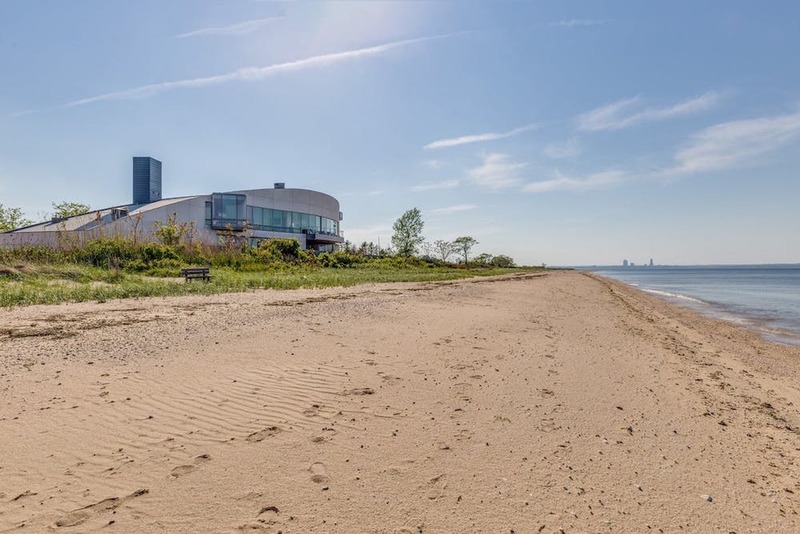 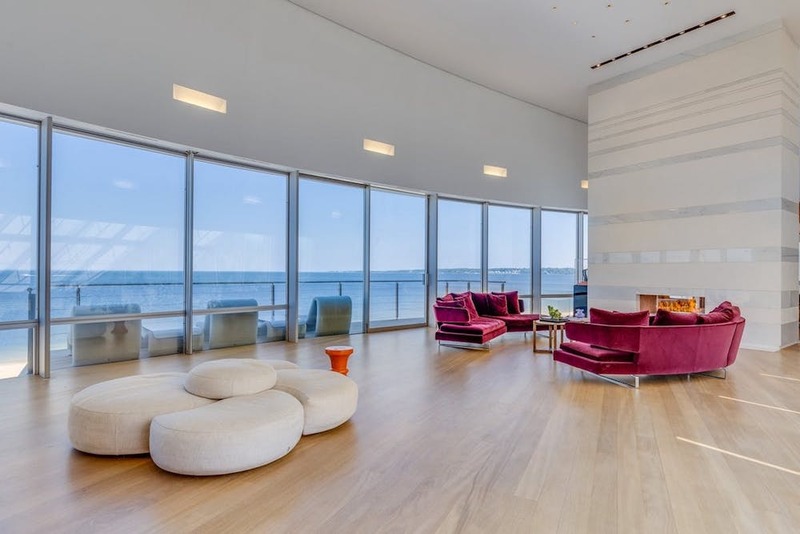 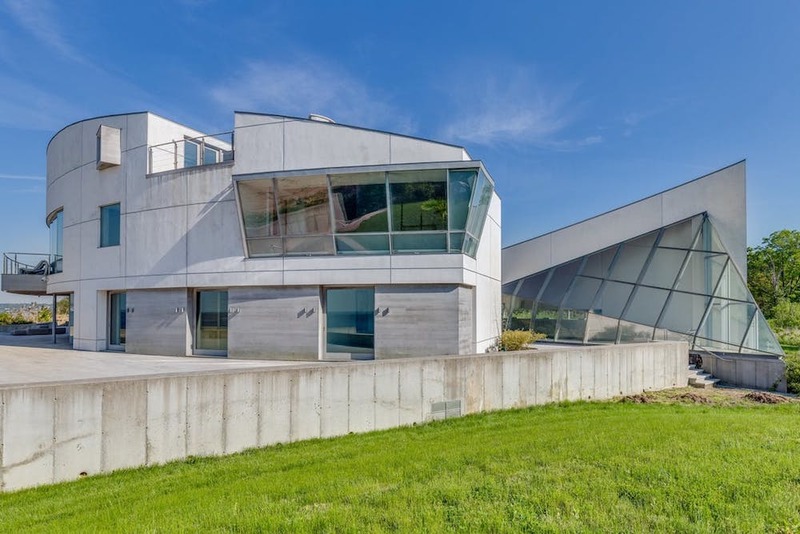 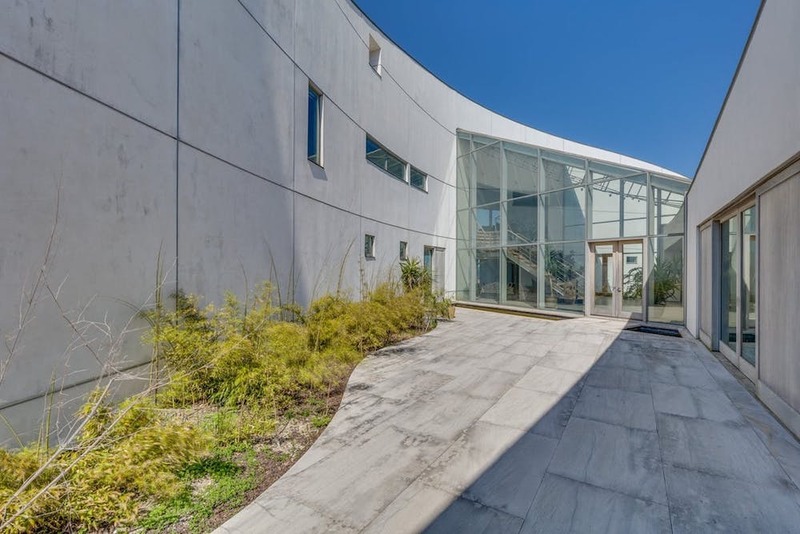 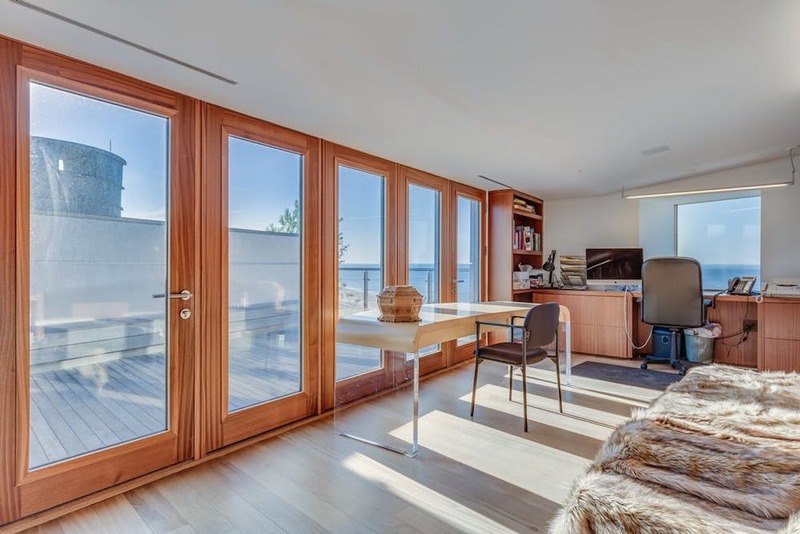 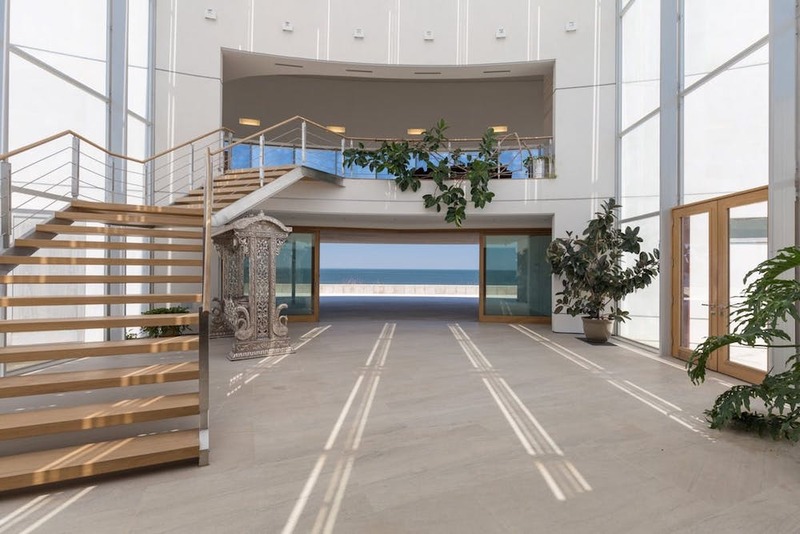 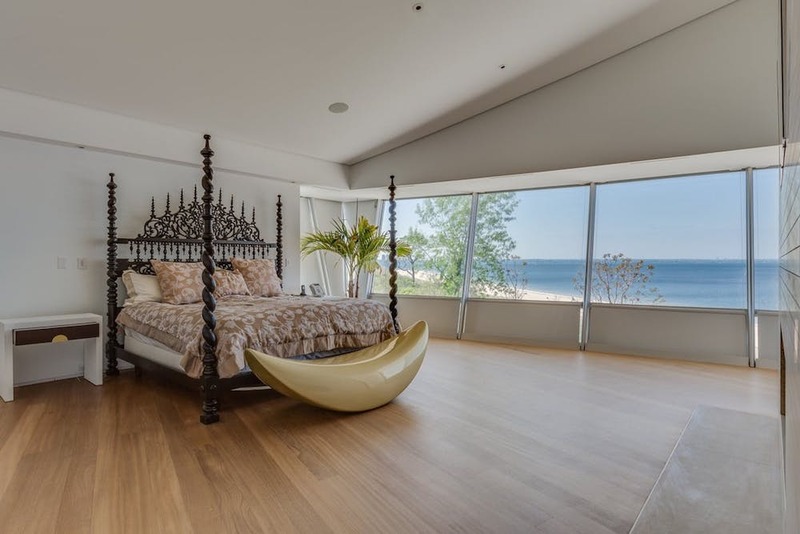 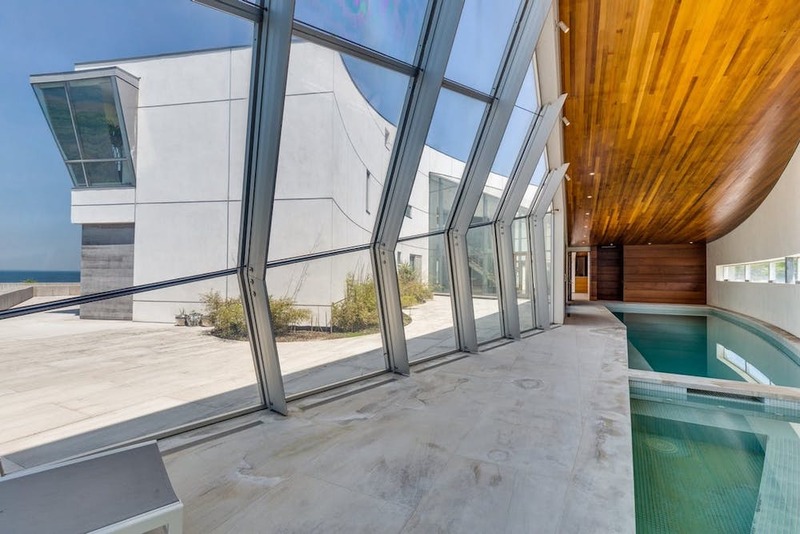 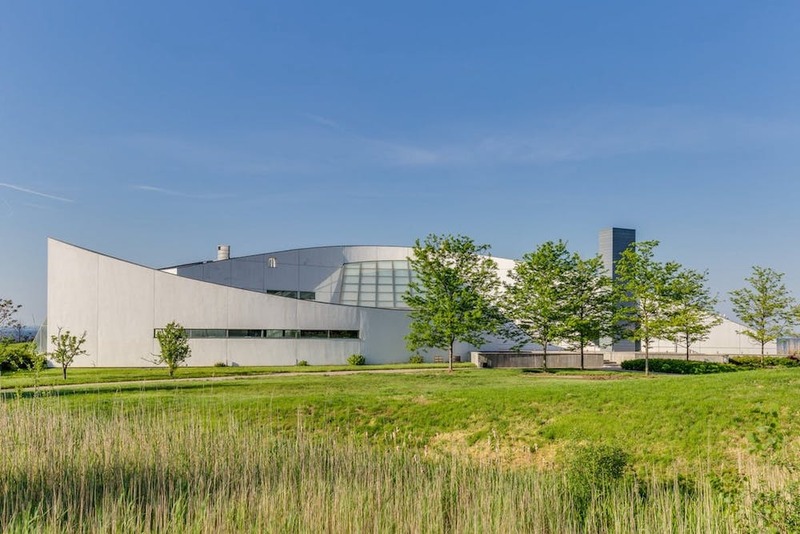 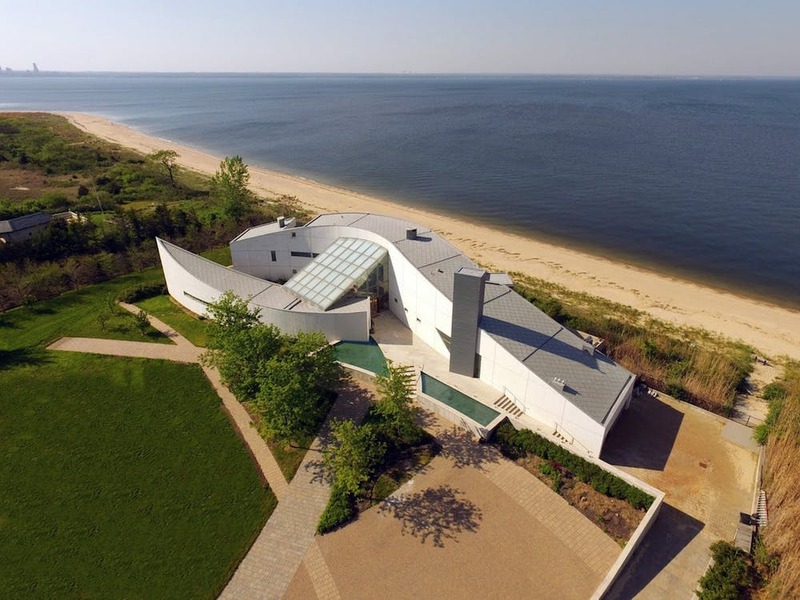 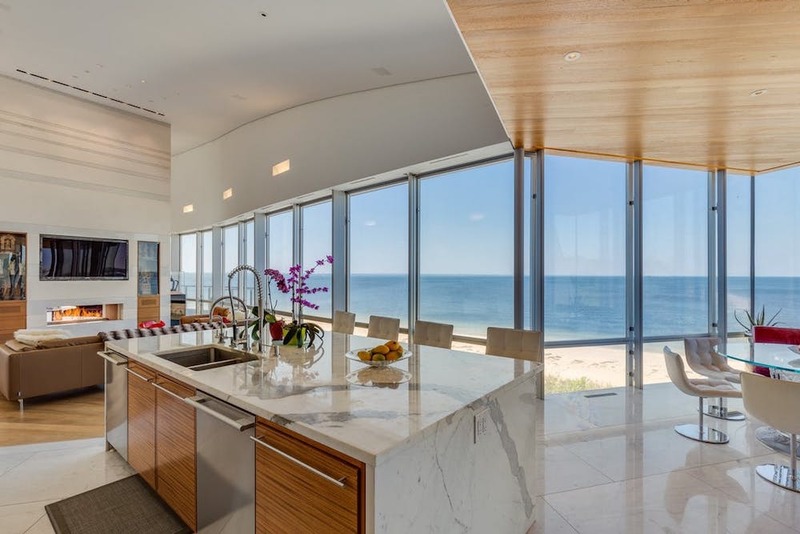 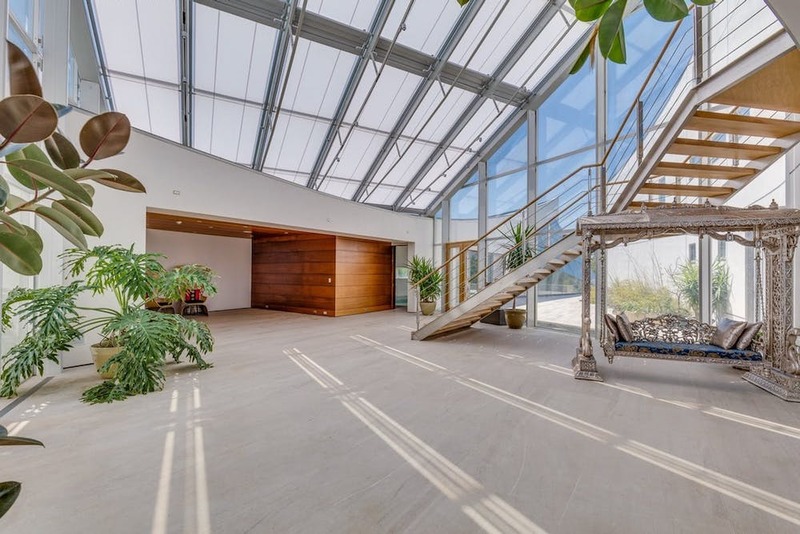 Soaring ceilings and towering walls of glass capture 180-degree panoramic views of the Long Island Sound toward Connecticut. 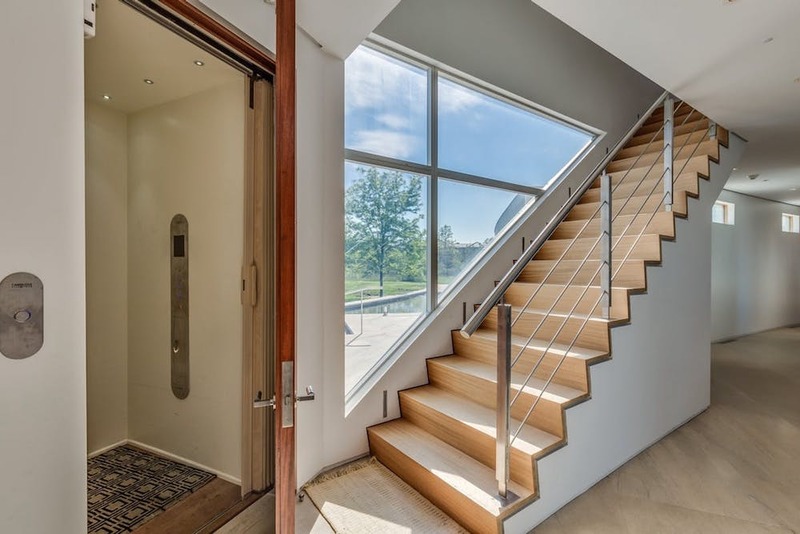 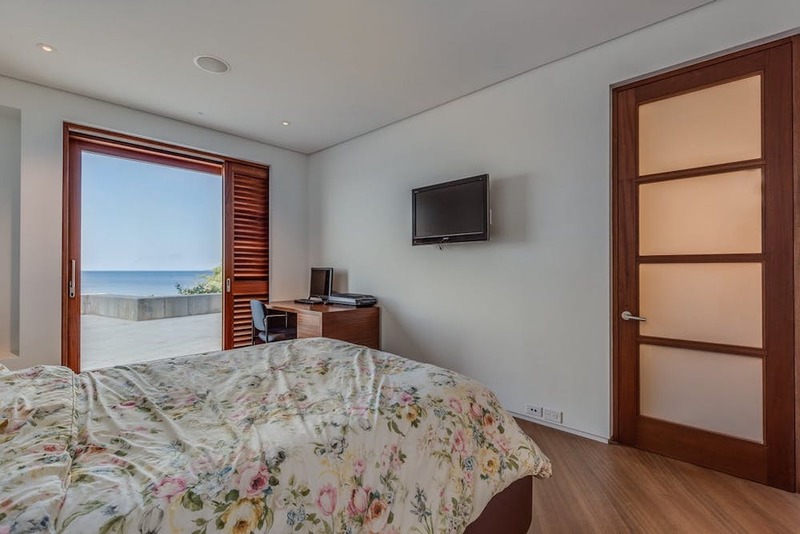 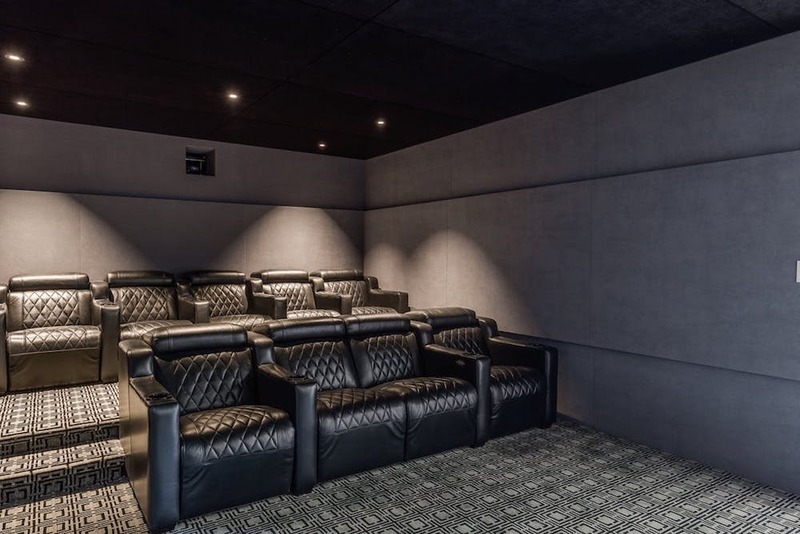 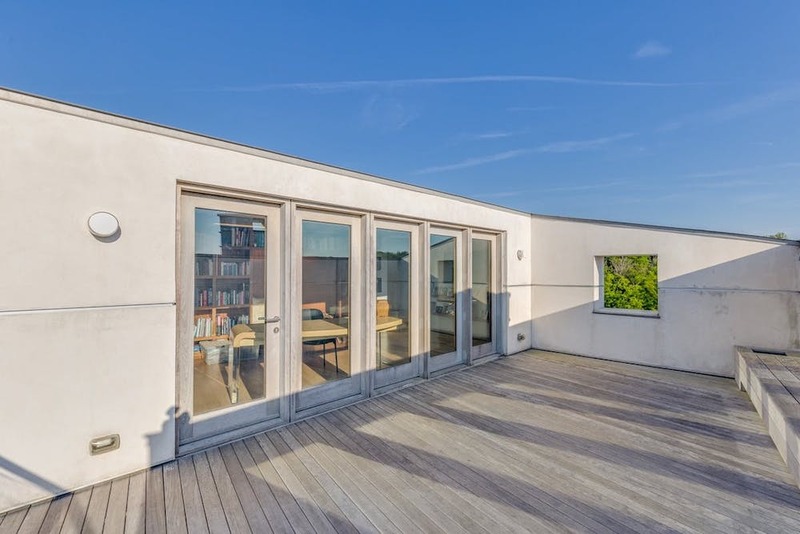 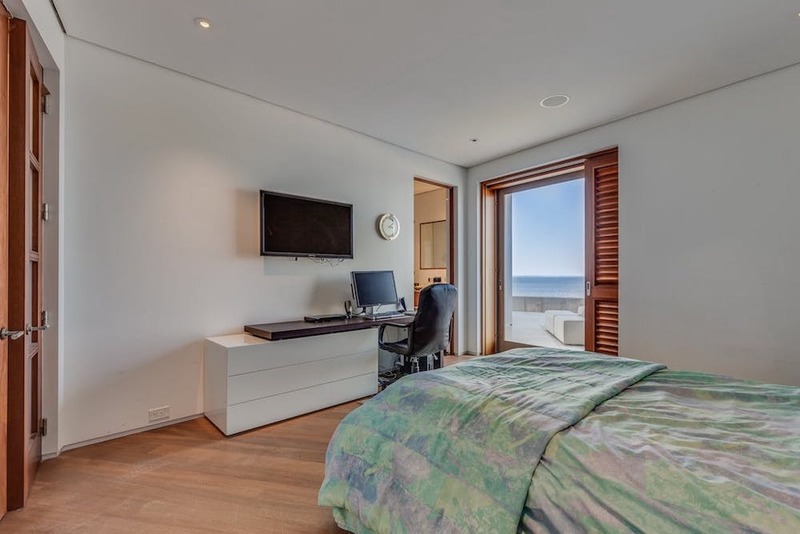 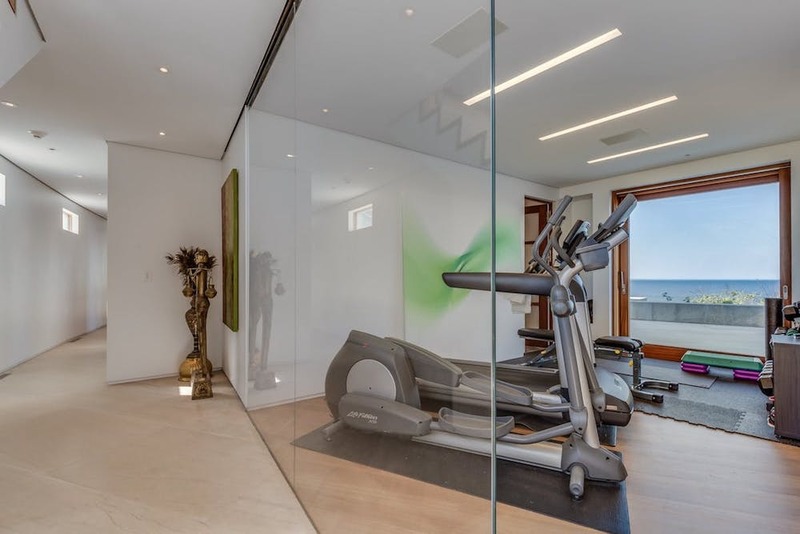 Other features include a large home theatre, home gym, and top level office with patio & views. 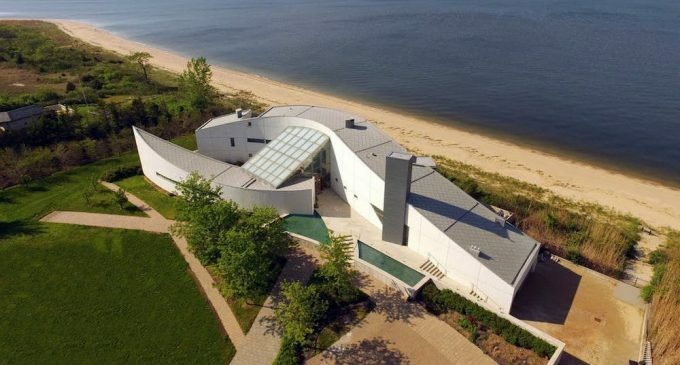 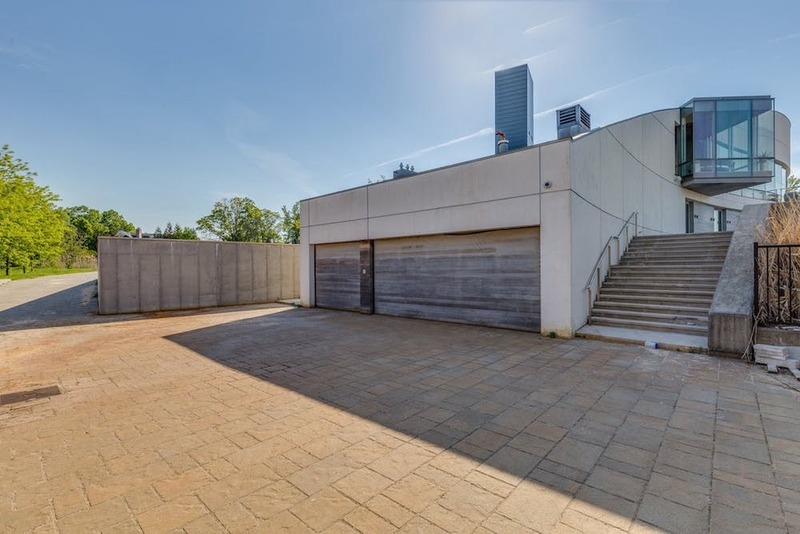 According to the listing, the cost to replace would exceed $24-million. 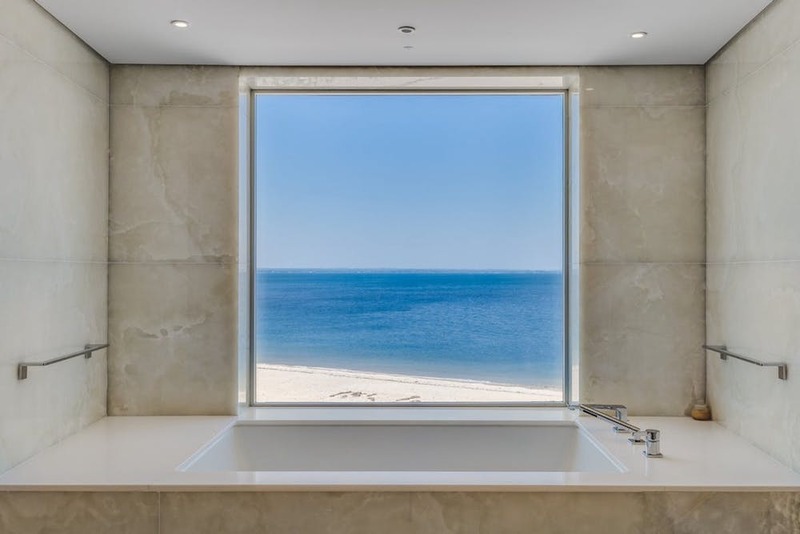 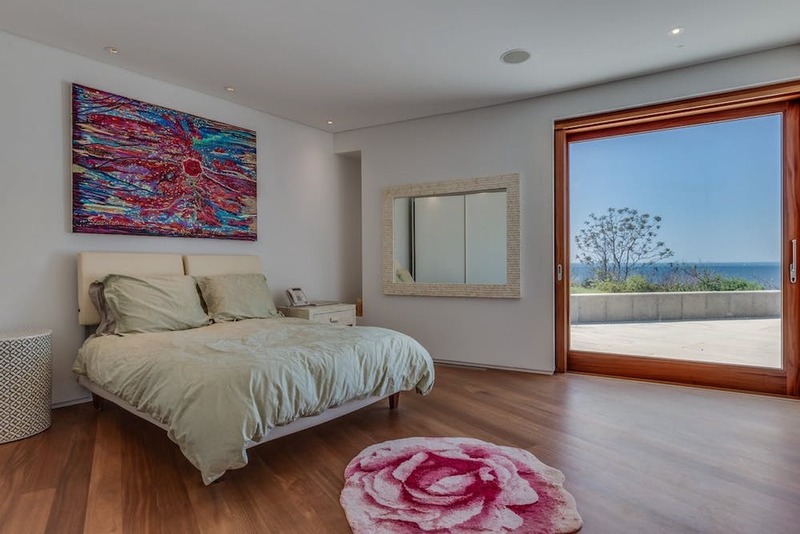 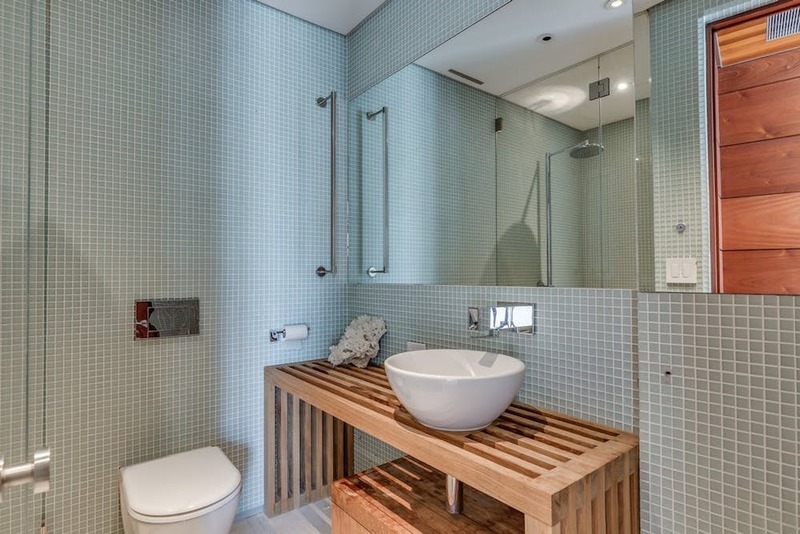 Yearly real estate taxes will run you an additional $126,198 USD. 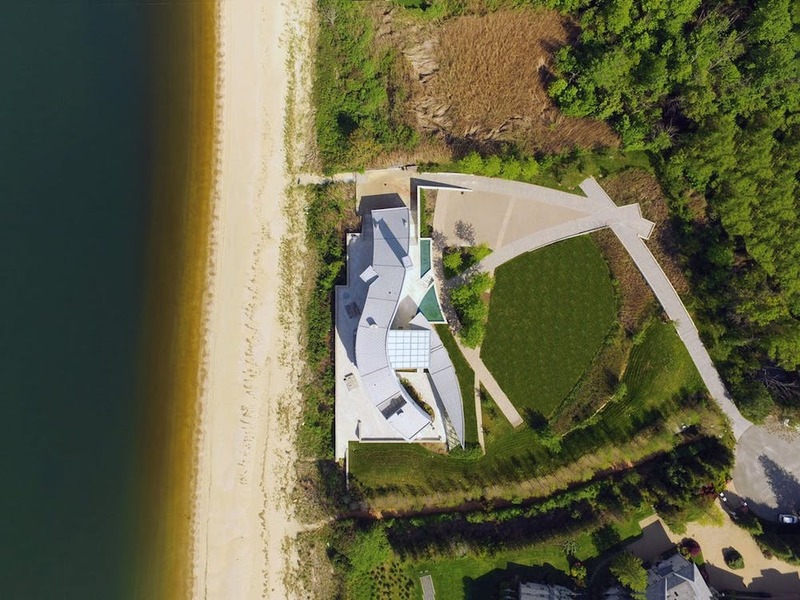 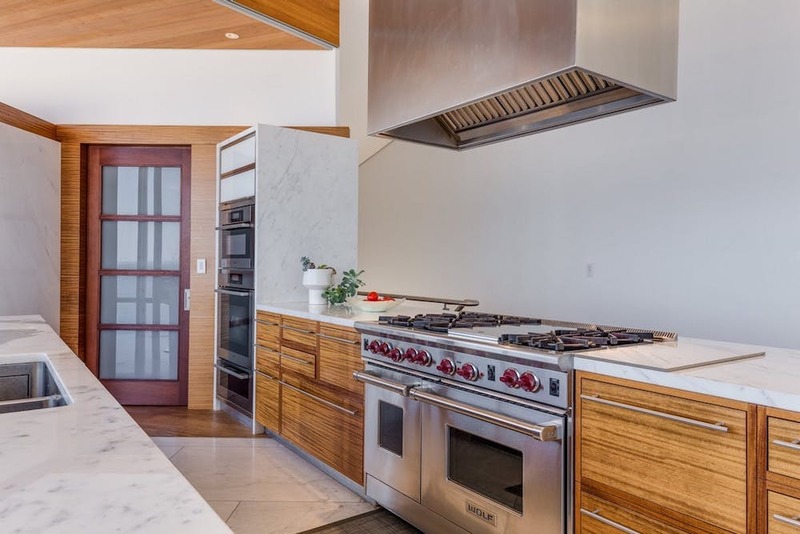 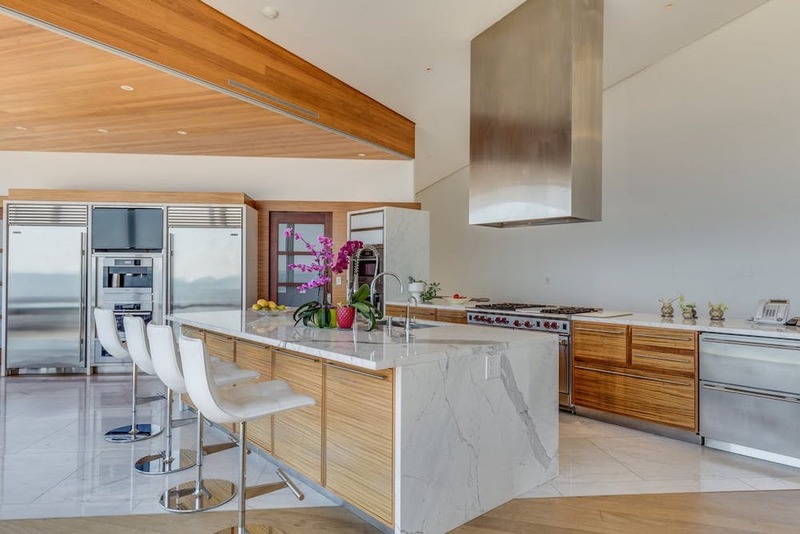 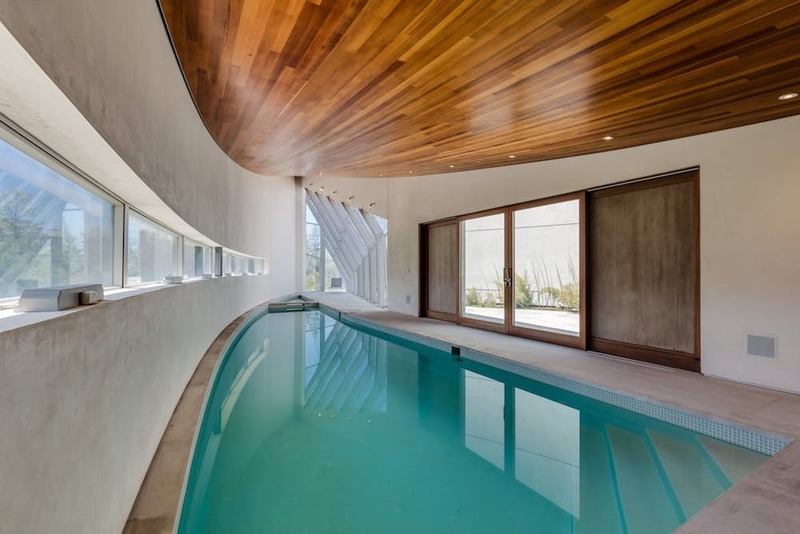 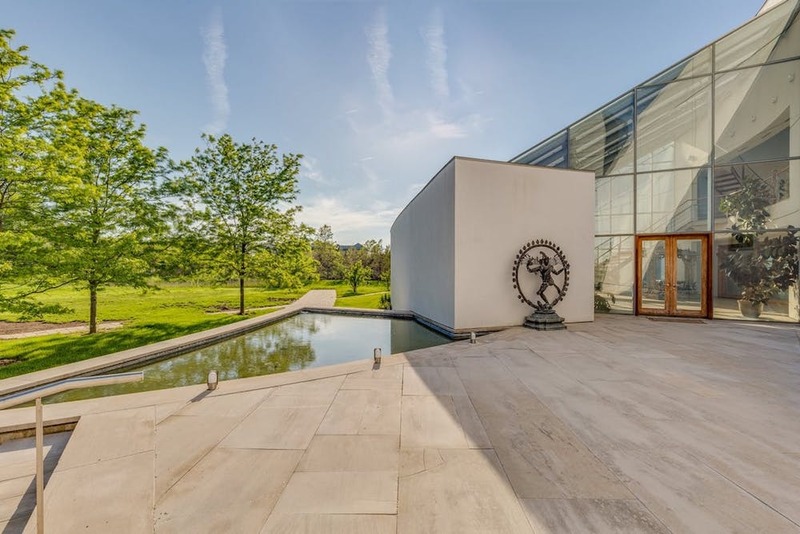 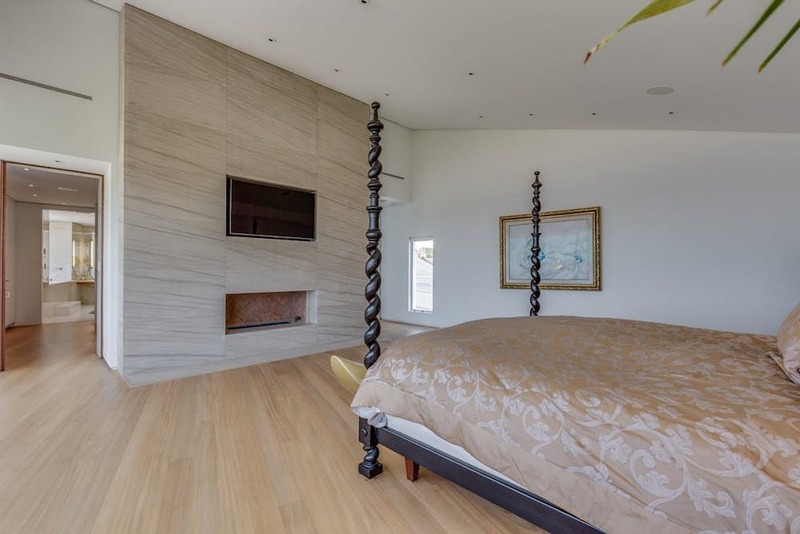 It’s on the market for $20-million $18.9-million with Laffey Fine Homes International. 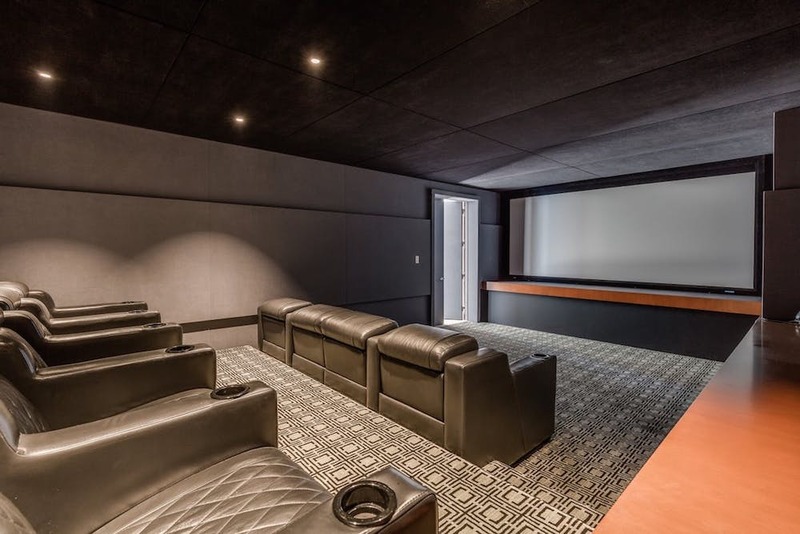 Be sure to view the 3D tour here!